Herbert Bayer, Imogen Cunningham, Alfred Ehrhardt, Andreas Feininger, Florence Henri, Fred Koch, Herbert List, Lee Miller, Aenne Mosbacher, Man Ray, Walter Peterhans, Edward Steichen, Otto Steinert, Josef Sudek, Edward Weston, Wols et al. 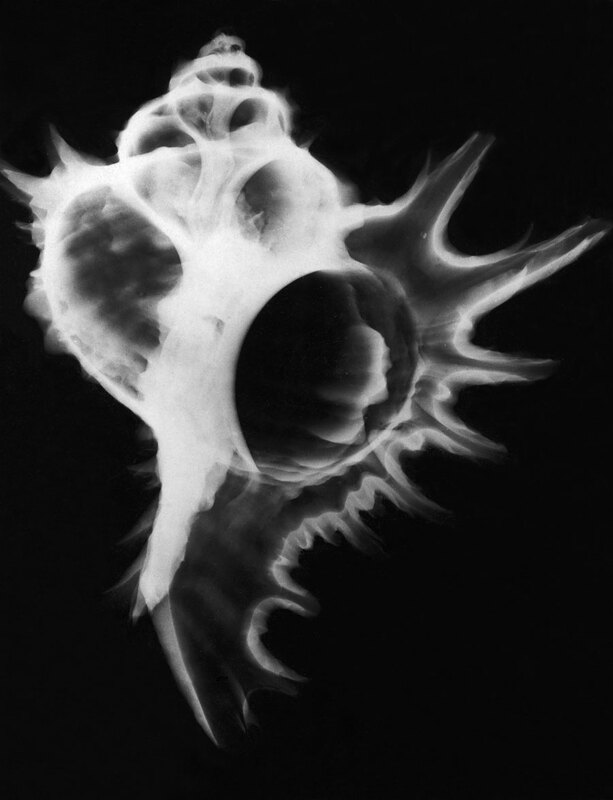 In addition to plants and crystals, snails, shells, and other mollusks (conchs) are among the “structural forms in nature” that particularly fascinated the photographers of the modern era. The Alfred Ehrhardt Foundation is presenting the first exhibition dedicated exclusively to this photographic subject matter along with an accompanying catalogue. 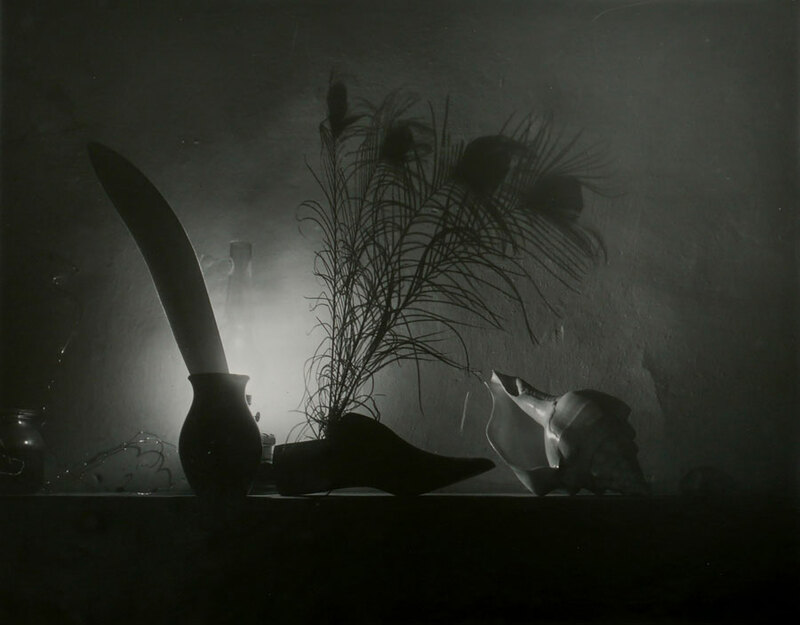 The starting point of the exhibition is the collection of photographs from the estate of Alfred Ehrhardt, which the photographer published in his photo books Muscheln und Schnecken (Shells and Snails, 1941) and Geprägte Form (Shaped Form, 1968). The human interest in seashells and the shells of snails dates back to the very beginning of culture and has left many traces throughout the history of culture, certainly also in the visual arts. Shells have been a popular motif among artists and photographers, not only due to their fascinating wealth of forms but also their beauty, sculptural qualities, and the mathematical precision or their spiral growth. 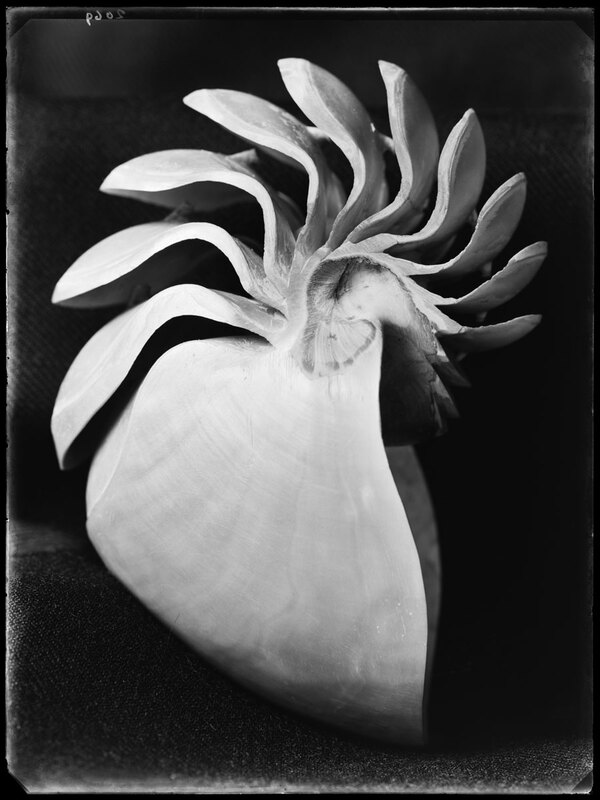 Through photography, more than any other artistic media, shells—as cosmic, religious, mythological, and sexual symbols—have come to signify a timeless world existing beyond the material realm. The invention of photography in the second half of the 19th century brought new possibilities for scientific documentation, for which the shells of snails and sea animals served as popular motifs. X-ray photography was especially important in this context, providing a view into the inner structure of these natural forms. 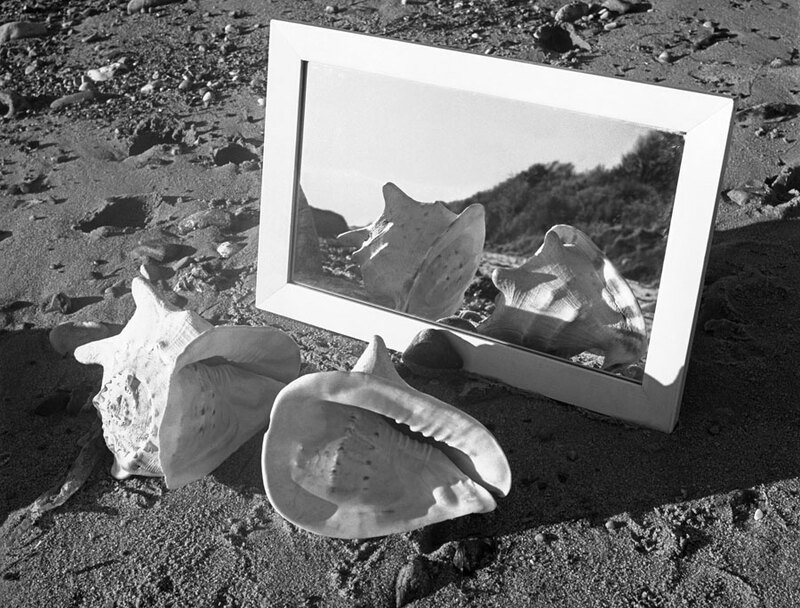 In the 1920s conchs became a subject matter in autonomous, artistic photography. Both natural philosophy and the influence of New Objectivity played a role in this newfound interest, as did the notion of using such “structural forms in nature” as inspiration for design and architecture. Marking the beginning of this interest was the highly acclaimed thematic issue of the Dutch avant-garde magazine Wendingen, which was published in 1923 with shell and snail photographs by Bernard F. Eilers and J. B. Polak. 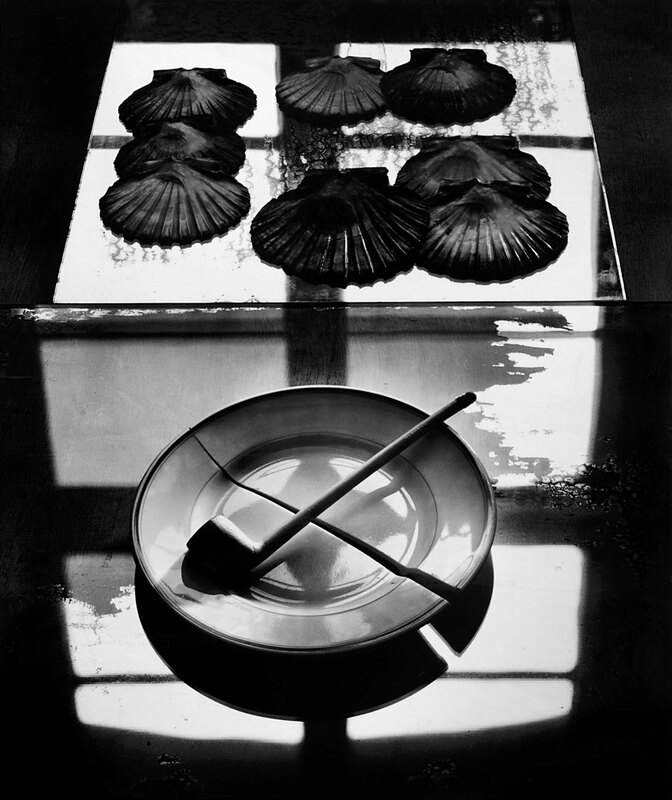 Somewhat later in the US, Edward Weston created iconic images of modern photography with his photographs of shells, which were shown in 1929 in the influential exhibition Film und Foto in Stuttgart. 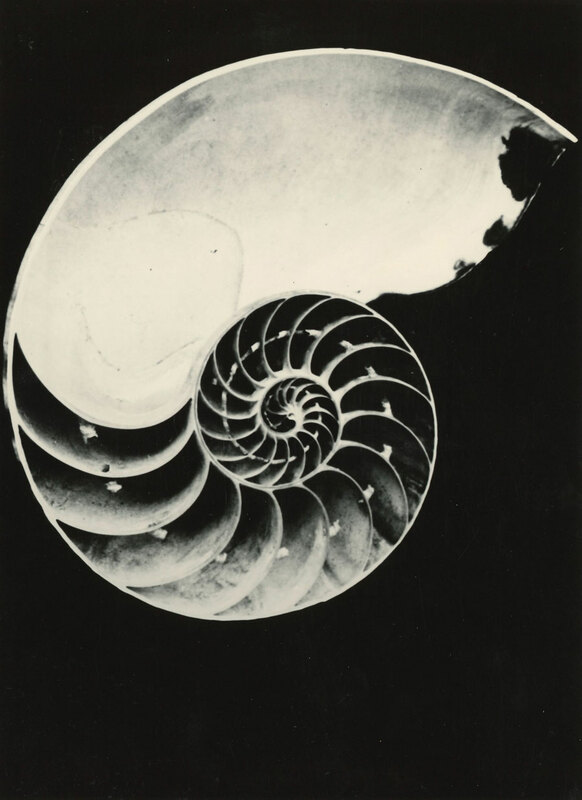 His photograph Nautilus Shell (1927) is today among the most expensive photographs one can buy. Other American photographers who creatively used shells and snails in their images include Edward Steichen and Imogen Cunningham. 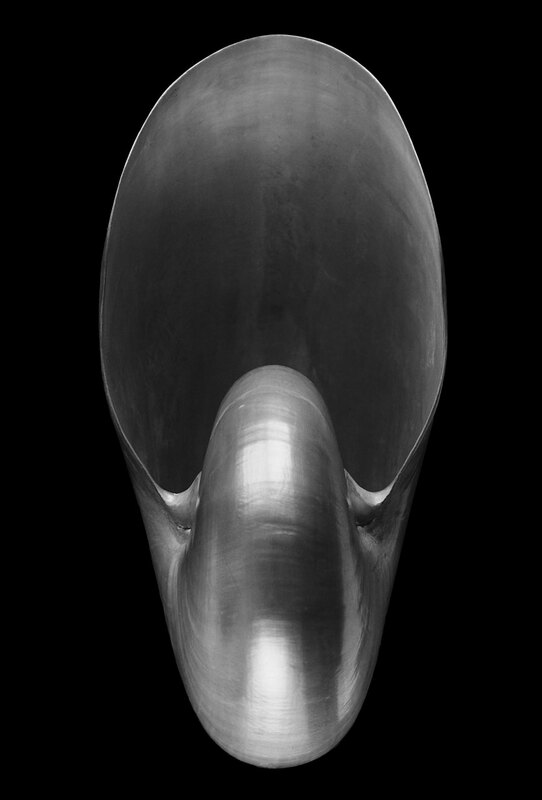 In the German-speaking world, various photographers of New Objectivity are distinguished by their images of shells and snails—from Fred Koch to Aenne Mosbacher, Fritz Kühn, and Gerhard Kerff. Particularly worthy of note are the recently rediscovered photographs of the Hamburg architect and photographer Fritz Block. 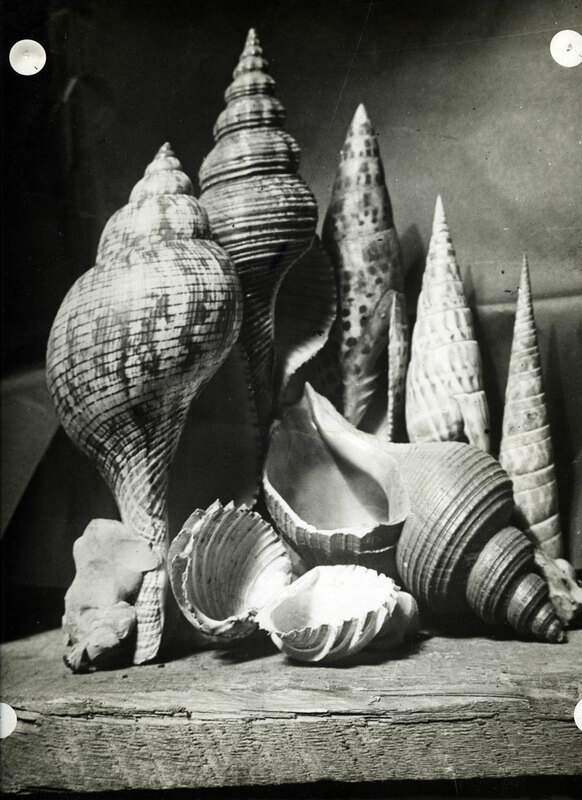 A true highpoint of the exhibition are the photographs that Alfred Ehrhardt produced for his book Muscheln und Schnecken (Shells and Snails, 1941). In contrast, examples from a Surrealist context offer a very different view of these natural objects, as conveyed by the photographs of Herbert Bayer, Man Ray, and Herbert List. 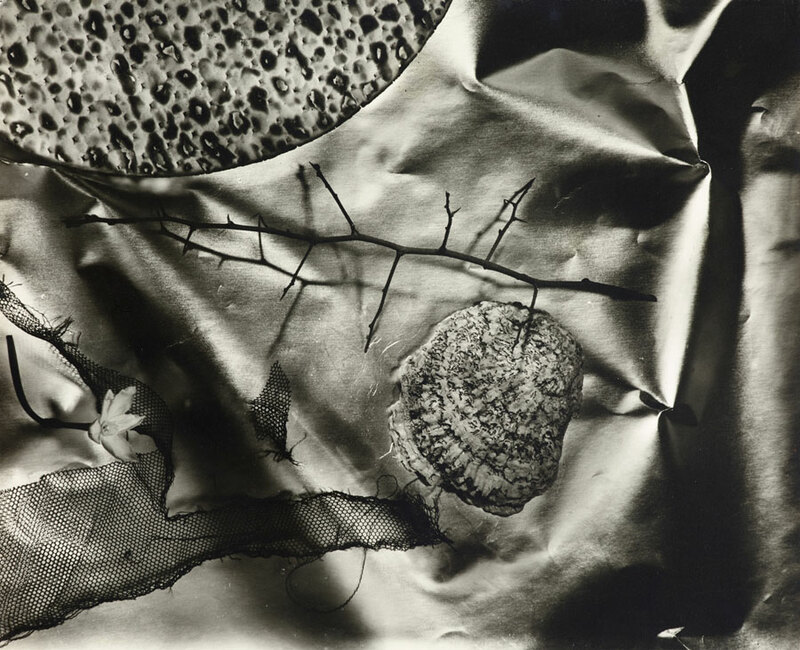 The exhibition concludes with a look at photographic positions after 1945 that have explored the theme of shells and snails from various perspectives, including Josef Sudek, Andreas Feininger, Wols, and Otto Steinert. Moreover, Alfred Ehrhardt’s prize-winning film Tanz der Muscheln (1956) will be shown. 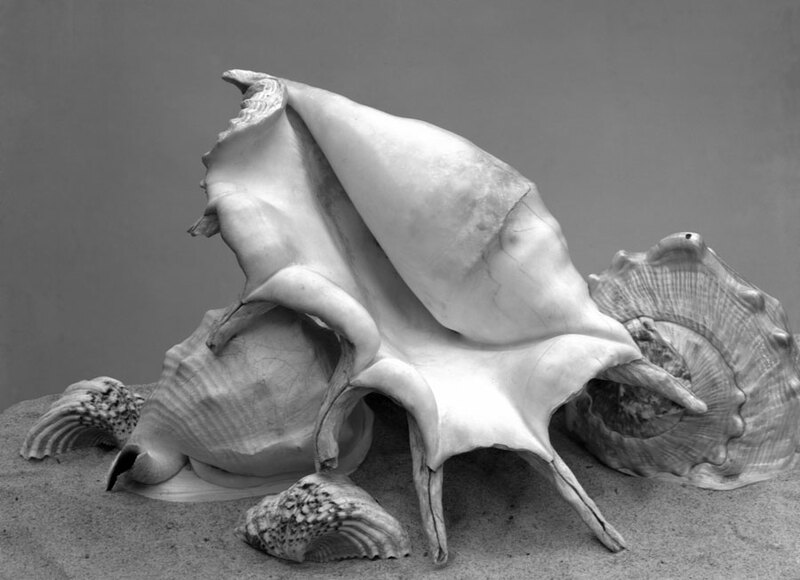 In addition to original photographs, the exhibition also includes real conchs from the collection of Alfred Ehrhardt as well as loans from the Museum für Naturkunde Berlin. Through this topic and the manner in which it is presented, the exhibition aims to show the development of public and research-based interest in scientific images and the fertile exchange between the natural sciences and photography. 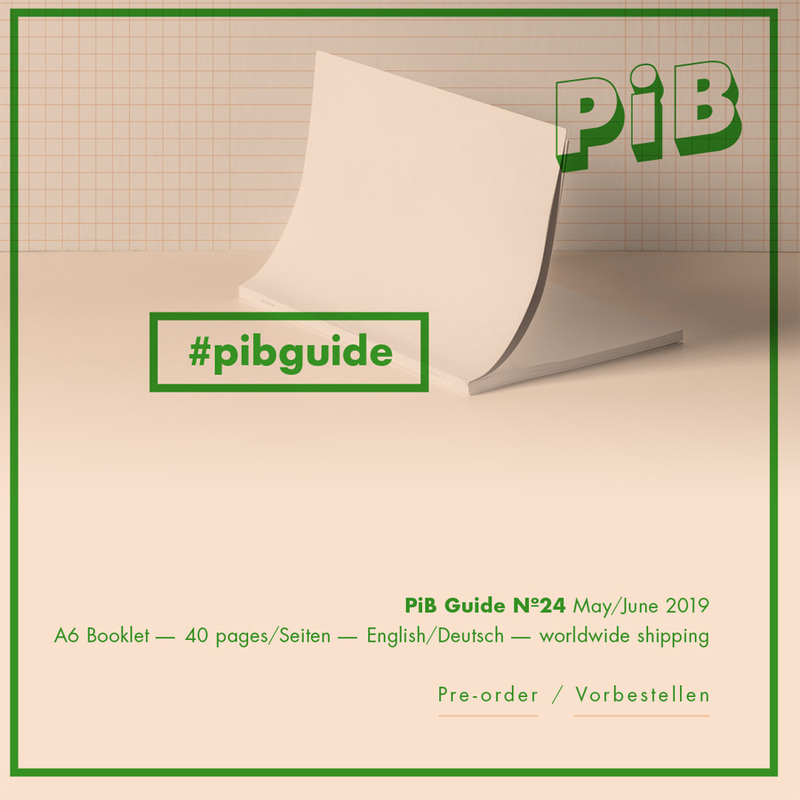 The exhibition was presented from May 20 to August 27, 2017 in the Landesmuseum für Kunst und Kulturgeschichte Oldenburg and subsequently on view from October 8 to December 31, 2017 at Kunsthalle Erfurt, after which it travels to the Alfred Ehrhardt Foundation in Berlin. In Oldenburg and Erfurt the works of Ehrhardt are complemented by a substantial range of contemporary positions, including works by David LaChapelle, Pierre et Gilles, Natascha Borowsky, Hans Hansen, and Christian Diehl. For further details about the accompanying events please visit the website of the Alfred Ehrhardt Foundation. Admission for all events is free. Please register by email.